Take A Break Vending is an affiliate of USConnect®, America’s only nationwide wireless integrated food service network. Through its affiliation, Take A Break Vending offers the industry's leading loyalty and rewards program, USConnectMe, in conjunction with our robust cashless payment system. loyalty reward points, which are awarded with every purchase. special offers and promotions on snacks, beverages, and food in our vending machines and Bistro to Go!® Markets. 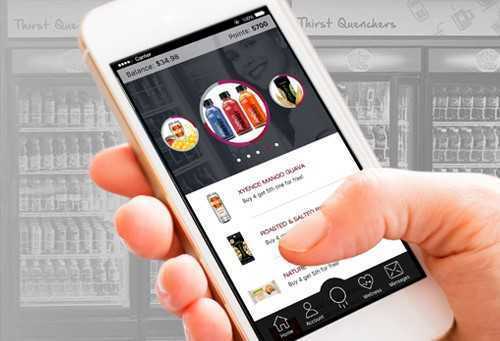 the convenience of the USConnectMe app, and the opportunity to use their accounts at any USConnect-enabled points of sale on campus and nationwide. the USConnectMe website, where promotions are continuously listed and updated and full account access is available. 1.5% of all sales will be contributed to the employee's charity of choice. Want to get started with the USConnectMe loyalty and rewards program at your business? Contact Take A Break Vending today.